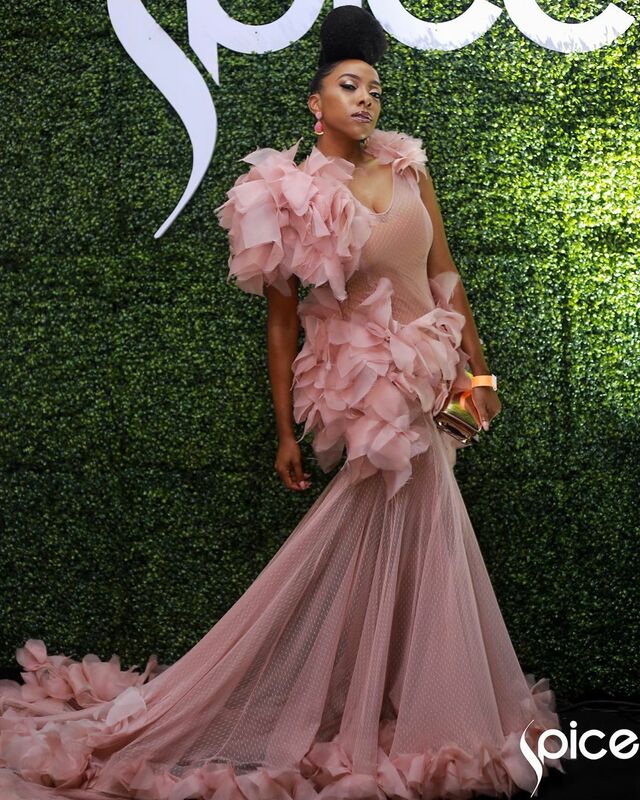 a vision in this dusty pink/peach creation by South African designer, David Tlale. The dress which hugged her torso but flared out from the hip into a mermaid train also had hand stitched fluffs on the base of the train and on the hip of the dress. While she styled her natural hair in a high-top, ponytail puff, she accessorized the dress with a square, gold clutch and matching dusty pink earrings. Her makeup was kept simple without taking away the focus from the dress. This whole look could also serve as an inspiration for a bride's second wedding dress.